YouTube’s ad-free music streaming, YouTube Music, launched in South Africa in March, for just R59.99 a month. Like Spotify and Joox, the subscription service allows users to download music for offline playback, but it also includes covers and remixes that are unique to YouTube. YouTube also offers a free version which includes adverts. 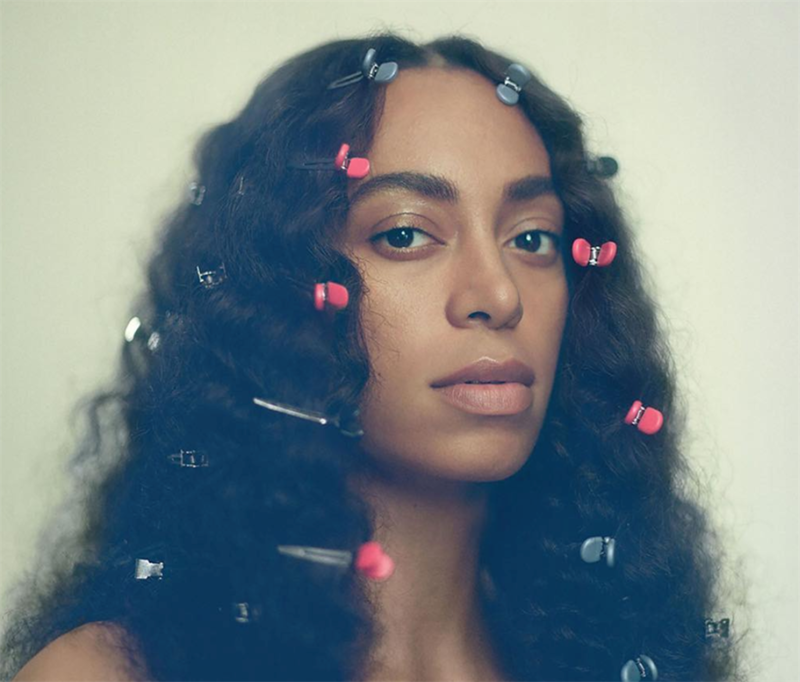 Prices for Apple Music, Spotify, Joox, Google Play, YouTube music and Deezer start at R59.99 a month, with Simfy Africa costing R60 and Jay-Z's Tidal costing roughly R135 a month. 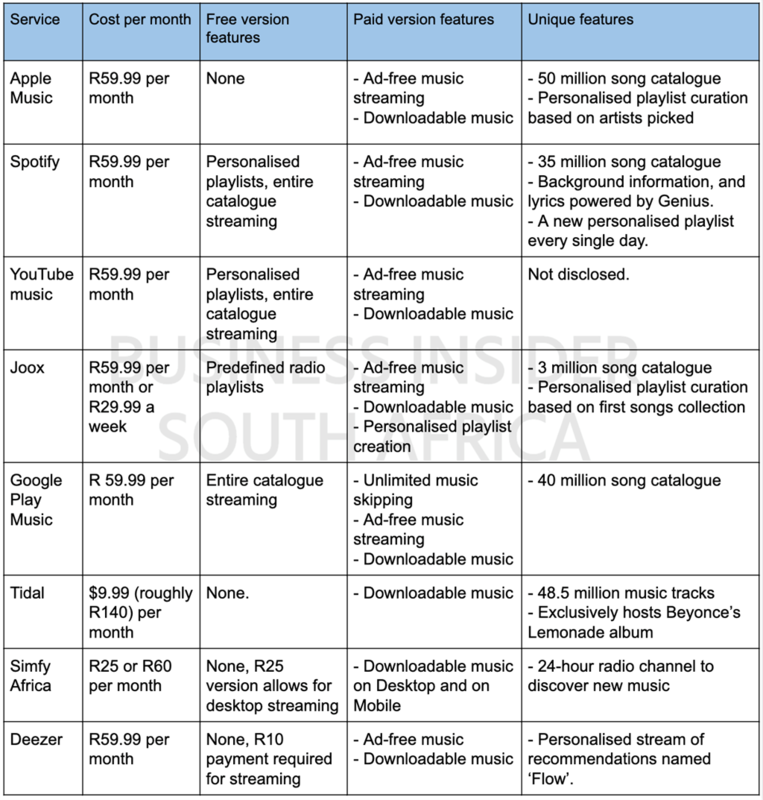 Business Insider South Africa compared the prices and functionalities of music streaming services in South Africa.